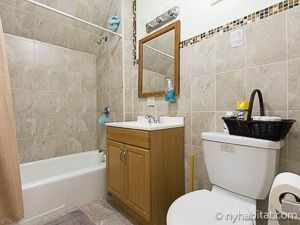 This is our reference NY-15535. 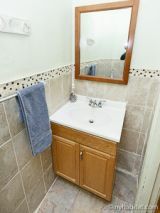 This spacious four bedroom apartment has 3 rooms available for rent and is located on the third and top floors (considered 2nd and 3rd floors by Europeans) of a 3 story townhouse in Flatbush. 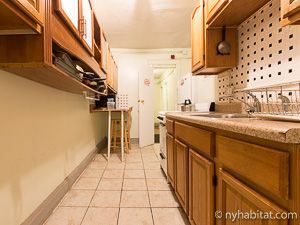 This area of Brooklyn is a great place to experience New York without all of the frenzy of New York City! 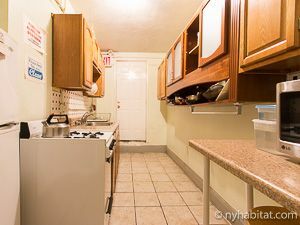 This apartment for share has wifi and cable available throughout the apartment. 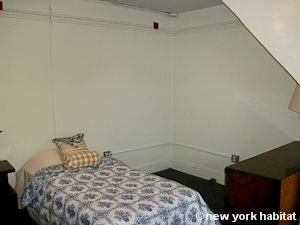 The first room for rent (Bedroom #1) has a twin size bed. There are two large windows in this room that brighten the whole space up and ample closet space as well. 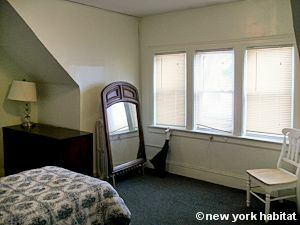 The second room for rent (Bedroom #2) is a spacious room with a twin size bed and three large windows that bring in a lot of natural light. 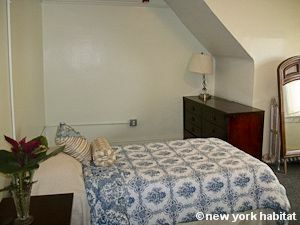 This third bedroom available (Bedroom #3) has a twin size bed and a nice amount of closet space. There is a great front porch space that would be perfect for hosting friends over. 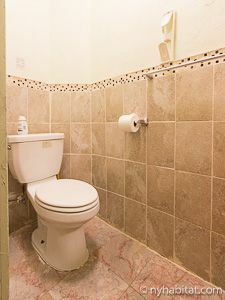 There is a newly renovated bathroom with a shower and bath and even a second bathroom as well. 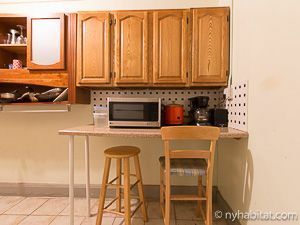 The fully equipped open kitchen has a seating area for you and your roommates’ convenience. 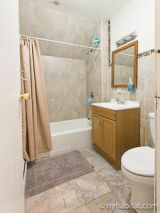 These rooms are rented on both a short term and longer term basis, so you may have roommates that visit only for a few days, or you may have roommates that stay for a longer time.